BlackBerry App World having issues | BlackBerry Blast! Users have reported issues with the BlackBerry App World over the last couple of days and the company has confirmed the problem via Twitter. The problem started a couple of days ago. A Crackberry forum user posted a message after not being able to download apps. 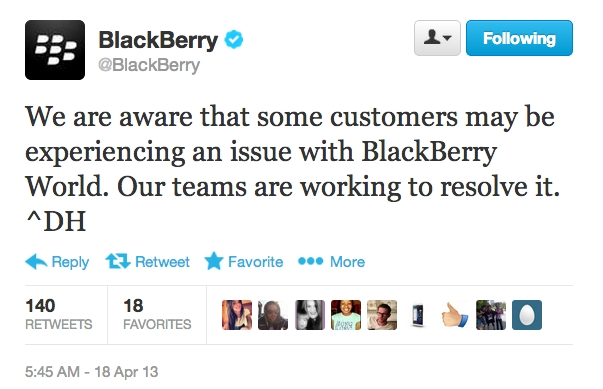 Since then, more and more users have been tweeting about the issues and BlackBerry finally acknowledged the problem on Twitter. The company will hopefully find a fix soon. In the meantime, one user has a workaround that he posted on Twitter.